These streets appear far whiter and whole lot more fluffy than their land-bound cousins. 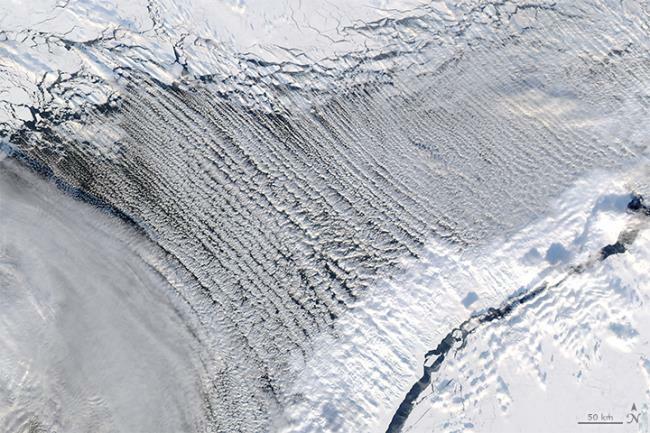 So-called “cloud streets” feature trailing parallel bands of water vapor. Our free weather API provides developers with an easy solution to implement weather into applications. Get quality free weather data and a reliable platform for delivery of your XML weather and JSON weather feeds. We also provide custom weather API for all business needs. Weather2 aims to provide the most reliable and comprehensive global forecasting service available on the Web. Our forecasts are produced by highly trained meteorologists working with state of the art weather modelling technology. We hope our information will help you to optimize your valuable outdoor leisure time. Weather2 provides businesses, faced with weather sensitive operations, a broad range of services. With clients in sectors as diverse as Travel and Tourism, Construction, Marine, Golf, Snow Sports and Football Clubs, we have designed our global information services for Web and Mobile to be easily implemented.